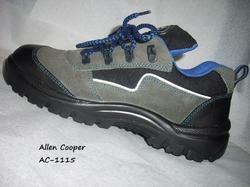 We are the distributors of Allen Cooper Safety Shoes. We provide our customer at a very resonable prize to meet the client requirement. We made our products with the top grade quality of ingredients. 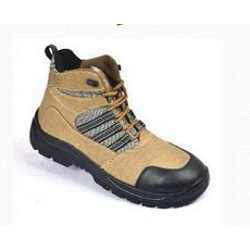 We are one of the renowned suppliers of Allen Cooper Safety Shoes from our impressive spectrum of Safety Equipments. 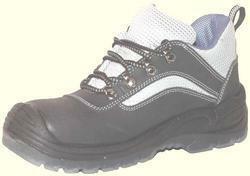 These shoes are designed exclusively for protection from various hazardous substances such as acids,oils etc. and also to safeguard toes against crushing caused by falling of heavy object. Thanks to their light weight construction, these shoes are comfortable to use. 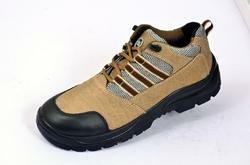 Double Density light weight PU Outsole. 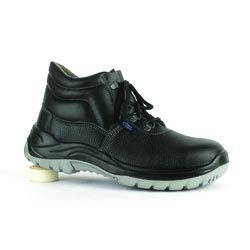 We are counted as one of the foremost manufacturers of Protective Allen Safety Shoe that are designed to offer comfort as well as protection as these are made from supreme grade leather and other raw materials. 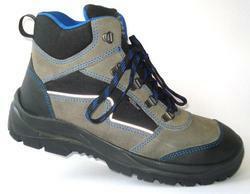 These are provided with toe cap made of steel for seamless protection to the toes. 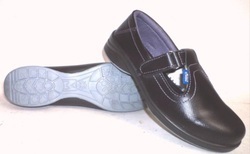 We use state of the art machines to manufacture these shoes under stringent quality controls. These are robustly designed and offer long service life with low maintenance and a flawless finish. 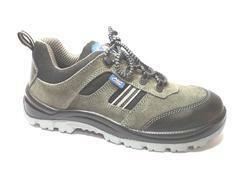 We are recognized as one of the foremost manufacturers, exporters, and suppliers of a wide range of Safety Equipments including Allen Cooper Skechers Safety Shoe AC 9006 that is appreciated extensively due to its excellent features. We use the highest grades of raw materials procured from the reliable vendors of the industry to manufacture these shoes with features such as genuine leather. Our clients can avail these at industry leading prices. We are dedicated to manufacturing, exporting and supplying Allen Cooper Safety Shoes as part of our huge array of Safety Equipments that is highly acclaimed for consistent quality and durability. These shoes are designed specially to offer protection from oil and acid hazards and can also protect the toes due to the Toe-Cap and are highly comfortable for prolonged use as they are light weight. 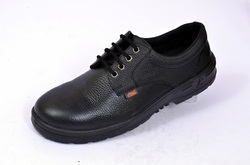 We are dedicated to manufacturing, exporting and supplying Allen Cooper Numbuck Leather Safety Shoes that are from the wide array of Safety Equipments that is highly appreciated for unmatched quality and durability. These shoes are designed exclusively to offer protection from oil and acid hazards and can also protect the toes due to the Steel Toe-Cap and are highly comfortable as they are light weight in construction. 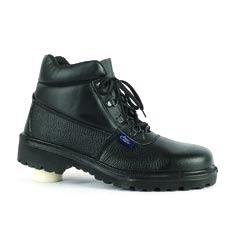 We are counted as one of the foremost manufacturers of Protective Allen Safety Shoes that are designed to offer comfort as well as protection as these are made from supreme grade leather and other raw materials. 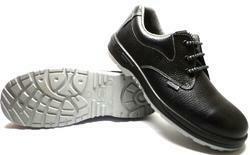 These are provided with toe cap made of steel for seamless protection to the toes. We use state of the art machines to manufacture these shoes under stringent quality controls. These are robustly designed and offer long service life with low maintenance and a flawless finish. We are dedicated to manufacturing, importing and supplying Allen Cooper Leather Safety Shoes that are from the wide array of Safety Equipments that is highly appreciated for unmatched quality and durability. These shoes are designed exclusively to offer protection from oil and acid hazards and can also protect the toes due to the Steel Toe-Cap and are highly comfortable as they are light weight in construction. We are presenting Allen Cooper Toe Safety Shoes from our broad spectrum of Safety Equipments that is applauded for unique features and top-notch quality. These supremely comfortable yet robust shoes are designed to offer flawless protection to the toes and are recognized widely. We use the highest grades of raw materials to manufacture these under very rigid quality norms. Our clients can avail these at reasonable price. We are recognized as one of the foremost manufacturers, exporters and suppliers of a wide range of Safety Equipments including Buff Barton Cooper Safety Shoe that is acclaimed extensively due to its unmatched features. 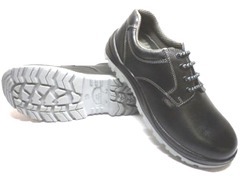 We use the finest grades of raw materials procured from the reliable vendors of the industry to manufacture these shoes with features such as Steel Toe Cap for protecting the Toe etc. We are offering Allen Cooper Industrial Safety Shoes from our huge array of Safety Equipments that is appreciated for outstanding features and unmatched quality. These highly comfortable yet sturdy shoes are designed to offer impeccable protection to the toes and are acclaimed widely for the same. We use the highest grades of raw materials to manufacture these under very rigid quality norms. Our clients can avail these at industry leading prices. 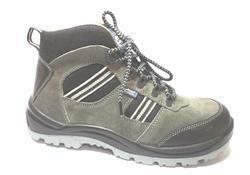 Looking for “Allen Cooper Industrial Safety Shoes”?